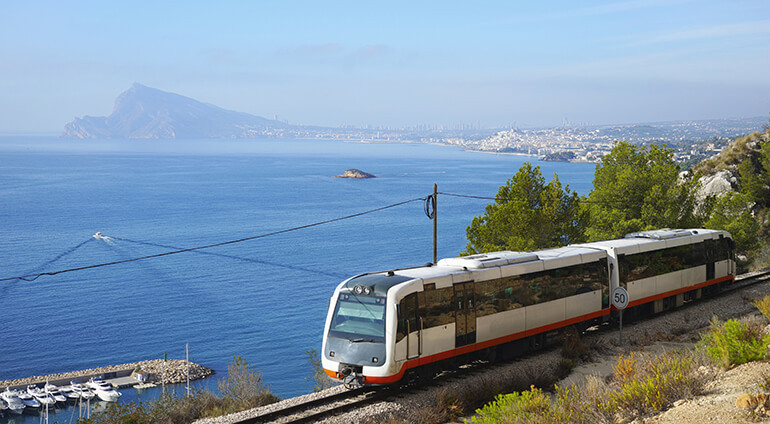 Alicante Airport is located just 7 miles (12 km) south-west of the city centre and is served by the local bus network, with regular buses to the centre taking 30 minutes and costing around €2.75 ($4) for a one way ticket. Alternatively, a taxi for the same trip will cost around €19 ($28) and take 15 minutes. If you are staying in the Old Town, most areas of interest are within walking distance, although public buses and trams also serve the area and are a reasonably priced way to travel further afield. Taxis are regulated, which means they are also an affordable option and there are plenty of car hire firms to choose from in the city centre.